We were keen to see which Artificial Intelligence and Machine Learning brands and individuals were leading the online discussion. 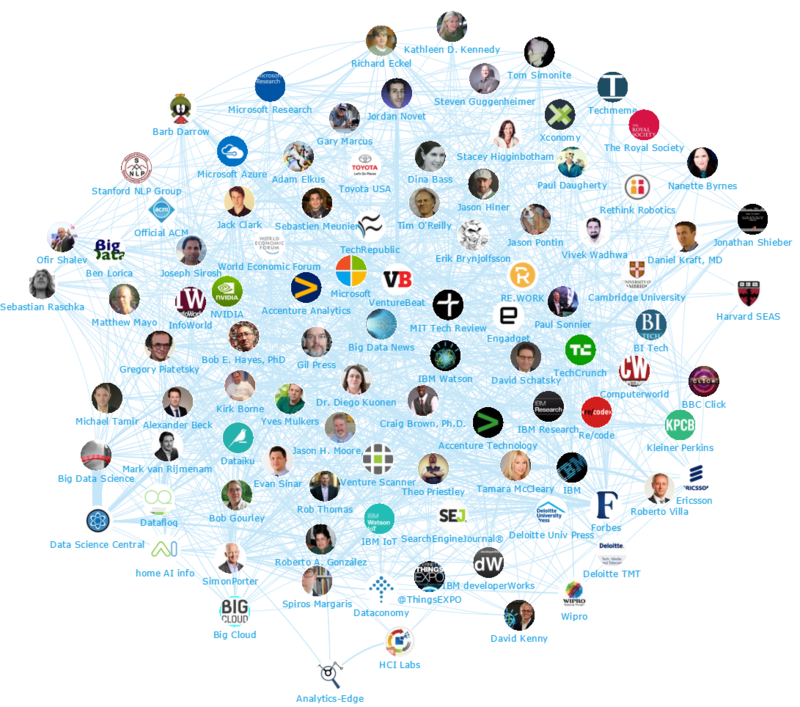 So we analysed 1.1M+ tweets from 30 November 2015 – 24 February 2016 mentioning the keywords “#AI OR “Artificial Intelligence” OR ArtificialIntelligence OR “Machine Learning” OR Machinelearning” and identified the top 100 most influential brands and individuals leading the discussion on Twitter. 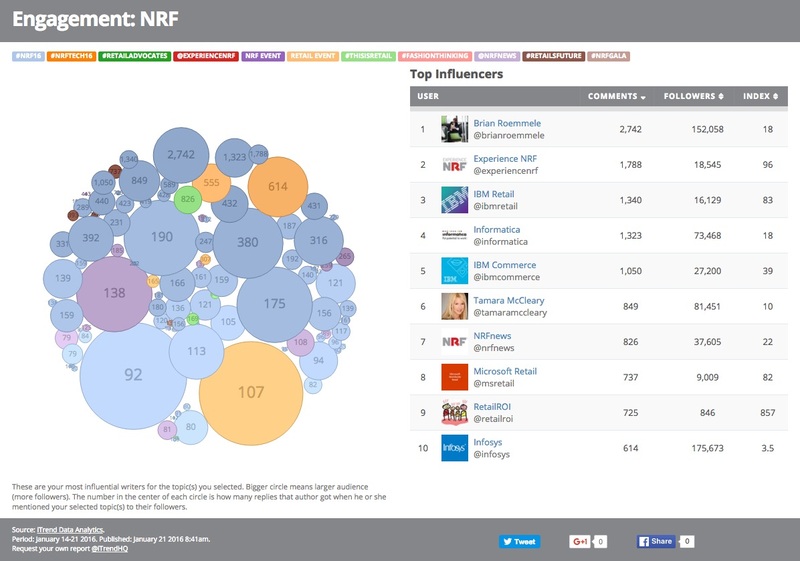 What we discovered was a very engaged community, with much discussion between individuals and brands. To read the entire report from Onalytica, download it here. This year’s IBM Interconnect Conference in Las Vegas brought thought leaders, tech executives, numerous companies and approximately 30,000 people from around the globe to discuss the future of technology in Cloud, Mobile, IoT and Cognitive Computing. 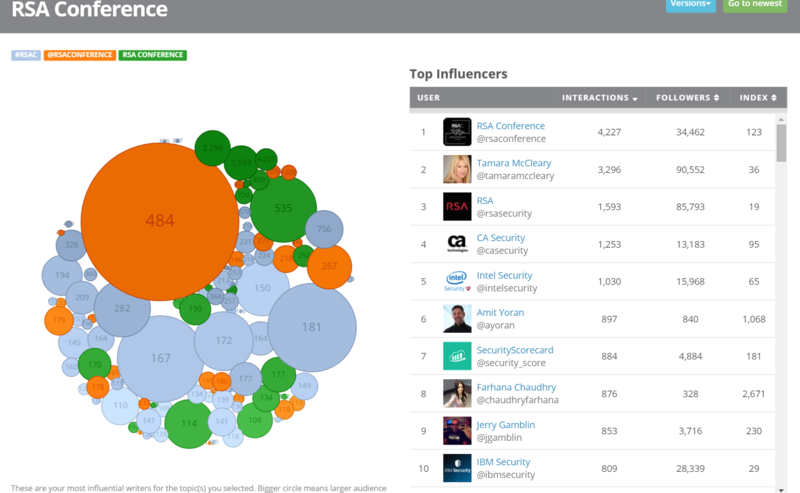 In the midst of such a dynamic conference, Tamara McCleary emerged as the top social influencer per iTrend Data Analytics, placing higher than numerous respected IBM divisions and other top companies. 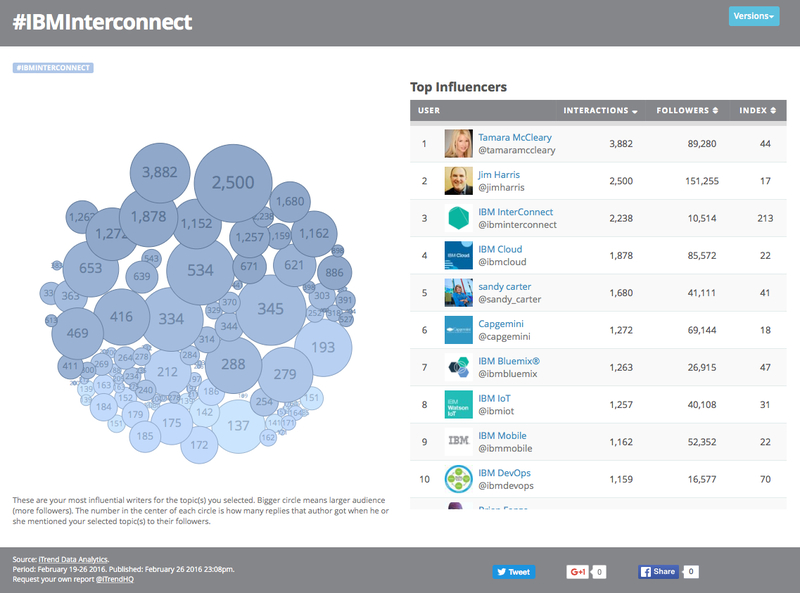 With almost 4,000 interactions, Tamara was the top engager at the conference and consistently lead the IBM Social Leaderboard in number of retweets. 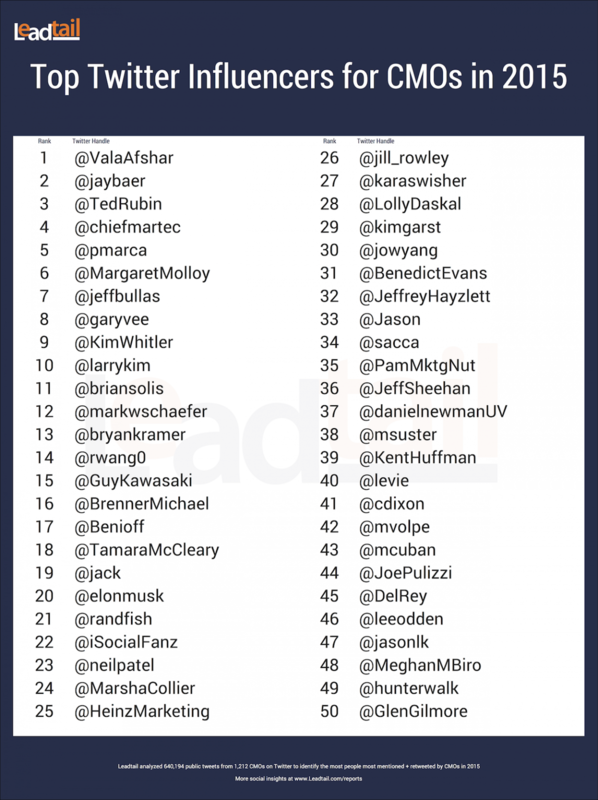 To read the entire iTrend Data Analytics Report, with scrollable Top 100 and links to each social account, click here. Yes, I do consciously post my good news, your good news, mostly the good stuff…because we all have enough sticky places we negotiate on a daily basis. I am also trying to practice in real life what I preach. I attempt to model and reflect for my own daughter….your daughter (your future daughter perhaps), and for our female colleagues and friends that it is “ok” to post things that are positive about ourselves, that there’s no medal in diminishing ourselves to make those around us “approve” of us and “like” us. But even in the midst of sharing our good news and our “wins” and projecting the confidence we must project to live into it. To mirror the positive, the professional, it’s okay to stay real, sometimes messy, disorganized, and not always living in a state of having it together. Ask any of my IRL (in real life friends), I’m riddled with home challenges between a teenaged son with immense physical and behavioral challenges, and trying to be all things to all people. And it’s crushing when we realize we can’t always be that. I got home Thursday night from working in Las Vegas, and feeling really uplifted by the job I did… I mean it was like moving a mountain to stay on-top at a convention of 30,000 people with global companies in attendance. Conferences are challenging enough, but trying to amplify at these ginormous events and get to and maintain a position in the lead…as a solo woman (I’m not a global organization, just one woman), is an astronomical undertaking. I was wrung out (and I’m an introvert who plays extroversion for work). I walked in the door to my home after driving home from the airport and literally hollered to the family, “Hey guys! I’m home!” And then got the hugs I crave from my soulmate hubby and snuggled into the incessant chatter of my son, Parker, as he filled me in on his latest favorite pop songs and acquisitions from the thrift store, his obsession, (he was over the moon about an old TV he stumbled upon at the thrift store that he got for 5 bucks, and also taking apart and a few discarded VCRs that he negotiated for 10 bucks and is now harvesting parts from to make some new motorized invention in our basement.) I then went over to check on my father-in-law who lives with us since his stroke 2 years ago, and my spidey senses as a nurse and R.N. immediately were triggered. like only those of you who navigate life with a strong “sense” or intuition can resonate with. I knew something was not quite “right.” Nothing obvious, but just a knowing… I can’t explain it. I said, “Hey dad, you have wild parties while I was gone? You look worn out by a pretty gal!” I was scanning him and could tell by his skin color and sound of his voice that things were not alright. “Oh, I’m okay,” he reassured me. He was sitting on the family room sofa like he always does, but I just felt something was amiss. I grabbed my equipment… stethoscope, blood pressure cuff and pretty much gave him an exam before I even moved my suitcase out of the entry way of our home. I’m known in my family to be a little bit of a healthcare bulldog. I checked his feet, pulses were sluggish and his blood pressure was 195/92 (and he’s on blood pressure meds), so I said, “Let’s go get you checked out.” My husband, Mike, loaded his dad in the car and I kissed him goodbye and promised Parker I’d be back home in a little while, I needed to get grandpa checked out. Off I went with my father-in-law to the ER. He’s been hospitalized since Thursday night… turns out he was silently going into renal failure, and an infection in his feet and legs had just began to get brewing beneath the surface, due to a diabetic neuropathy. I’ve been at the hospital a lot since Thursday and he’s looking much better today, and back on the mend. We had the most interesting chat at his bedside this morning and I’m sure he laughs when he looks at me because I’m wearing my favorite Von Miller, Denver Broncos jersey and giving him a “pep talk” about visualizing himself strong, and walking tall and independent, and meeting hot retired women at the Longmont Senior Center and dancing again. But I do believe. I believe he can have these things because he’s not dead yet and he can take control of his health and “be” the guy he wants to be. We all have this power while we are alive. We CAN. That’s what I firmly believe. We… all of us, we have these funny, crazy, full lives. We work, we play, we have families who need us, friends who need us, and in the end… we need us. We need to visualize ourselves as strong, capable, resilient, and filled with the vitality to create our own amazing, colorful lives. No, things are not always perfect, in fact, they are never perfect….but rather they are perfectly flawed. Sometimes we’re on-top and in the lead, and sometimes we are changing bed linens, dirty diapers, and putting another load in the washing machine. We are learning in every moment. We can be what we want to be if we put in the effort to create it…and it starts with seeing ourselves in that way. Life doesn’t have to “look” like anything at all, but it needs to “feel” like we are living our moments and experiencing them. Sometimes the experience is in a hospital room and sometimes it’s at a global convention… or in the front row at an Elton John concert. 😉 …but it’s all just experiences. Nothing more, nothing less. And by all means when you see me or anyone else sharing all the “wins” and good times, let’s celebrate together and uplift one another because we know that no one… no one on social media has it all together. Yes, I’m thrilled when I can top a list. Of course I am. Who wouldn’t be? And I’m thrilled when I’m at the bottom as I know how to dwell there too (very well), and every place in-between. I just enjoy doing a good job and being the best I can be for myself and everyone around me. I’d rather live my life to the fullest expression I can reach for, I know my time is limited here. We all live complicated, sometimes messy existences, but the blessing is that in the midst of chaos there is a wealth of expression in our lives to shine a light and be the best that we can be in the moments we are given. (((hugs))) to you… from my place in this circle of a REAL life, just living the best I know how in the moments God grants them to me. #Humbled #Grateful #Appreicative of every single one. <3 Sending you so much genuine love and a knowing wink to the life you negotiate every day. We are in this together. We really are. XOX!